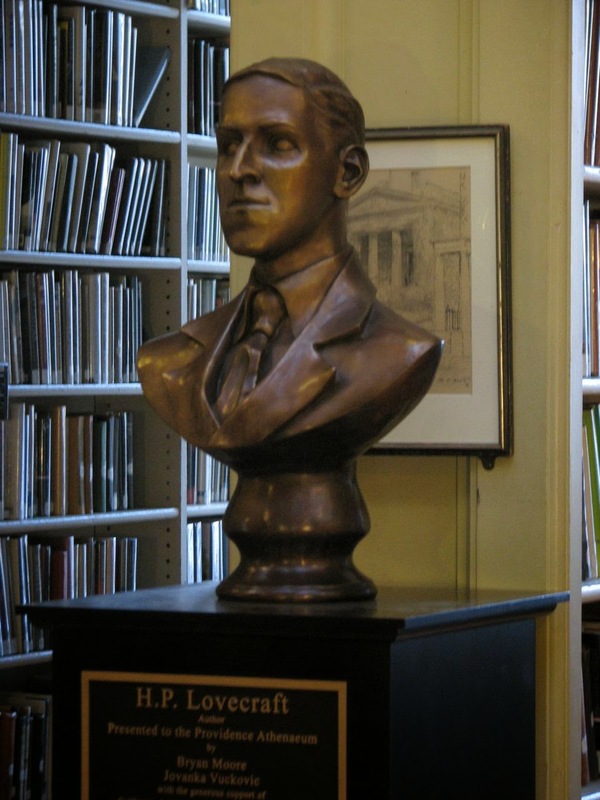 Last year the Providence Athenaeum was approached by a devoted international group of H. P. Lovecraft enthusiasts who offered to commission and donate a bronze bust of Lovecraft to the Athenaeum. Lovecraft’s surprise ranking on Pantheon, that I described in an earlier post, and this surprise offer to the Providence Athenaeum provide a case study on how a local nonprofit can greet and partner with a digital global “public”. Another post will look more closely at how the Athenaeum leadership navigated this partnership to such a successful conclusion. I will also weigh in on how this kind of partnership could have been monetized, given the very American range of stakeholder interests. What is relevant here is how accurately Pantheon research identified an enormous and dispersed global “public” that felt a deep emotional connection to Lovecraft. Here is an example of a digitally connected community longing for place-based ways to witness their respect and admiration. The Kickstarter campaign to fund the project reached its first goal of $30K within 48 hours. The donors listed on the bust’s plaque include Lovecraft scholar S.T. Joshi, the Mexican filmmaker Guillermo del Toro, and the Sultan Saeed Al Darmaki from Abu Dhabi - whom a 2013 Wall St Journal article described as the “King of Kickstarter”. The project was orchestrated with great social media marketing savvy by sculptor Bryan Moore and feminist filmmaker and visual effects artist, Jovanka Vuckovic. The completed life-size bronze H.P. 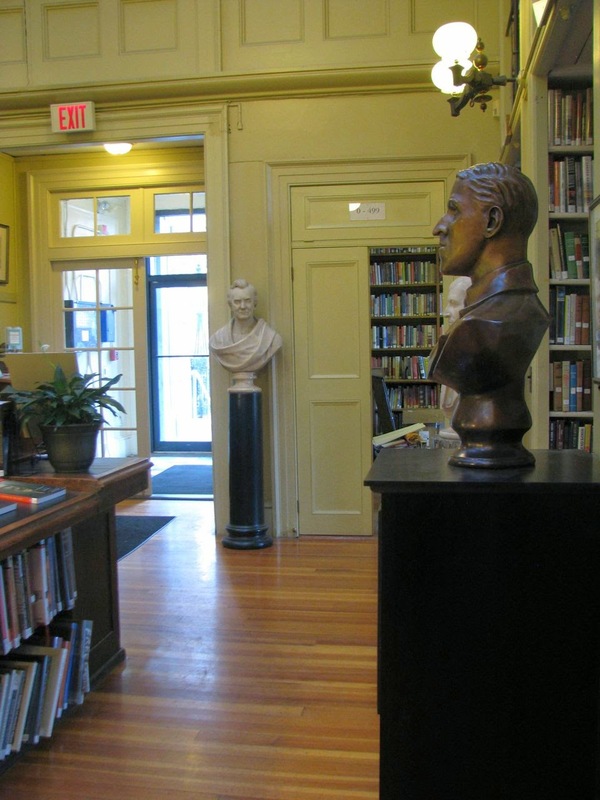 Lovecraft bust was unveiled at the Providence Athenaeum last August 22, 2013 before a wildly enthusiastic international audience. Today, the Lovecraft bust welcomes visitors to the Providence Athenaeum and recently was #8 on Tripadviser for “Things to Do in Providence”. Positioned near the Benefit Street front door (down the street from where Lovecraft lived) this new bronze bust keeps company with an 1853 marble bust of the Providence Athenaeum’s long-serving first Board President, Judge John Pitman (1836-1856). I love to speculate on the conversations the insider and the outsider might be sharing after hours, alone in this storied building. 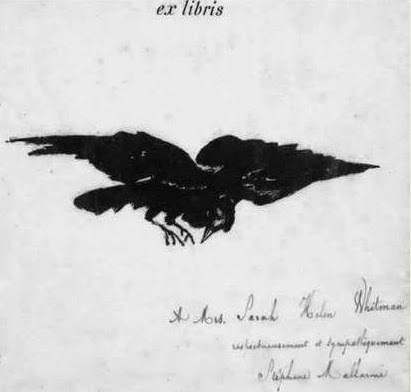 Neither Lovecraft nor Poe nor even Sarah Helen Whitman was ever a member of the Providence Athenaeum. These outsiders recognized and became devoted to a special place, but were never part of the inside circle - or even the next few rings out. 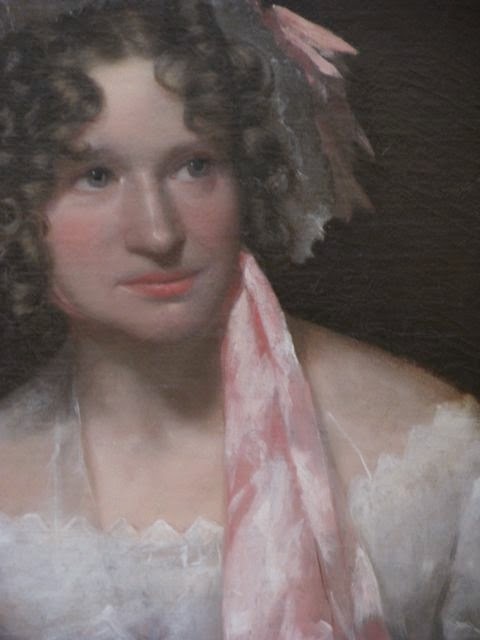 Yet it was the financially beleaguered female poet Sarah Helen Whitman (1803-1878) who has been the most effective longterm maven by connecting the Athenaeum to Poe, Mallarme, and Manet. Now, H.P. Lovecraft joins the ranks as vital ambassador for the Providence Athenaeum. This is the kind of historical insight that can channel strategy in new ways. As a research tool, Pantheon provides a broader context for thinking about the H.P. Lovecraft bronze bust project and the overwhelmingly warm and positive response of the many devoted fans who have made the pilgrimage from all over the world specifically to visit the bust now displayed in this historic building. This synergy was possible because outsiders were welcomed inside the front door to begin with. The Providence Athenaeum has never been a private membership library with a wall separating the outsider and the 19th c. shareholder or the contemporary supporting member. Even today it remains a struggling but mission-committed non-profit that opens all programming to the public for free. The question facing the Providence Athenaeum trustees today is how to strategically engage this new global digital community in a shared public mission? Who will care for the commons? 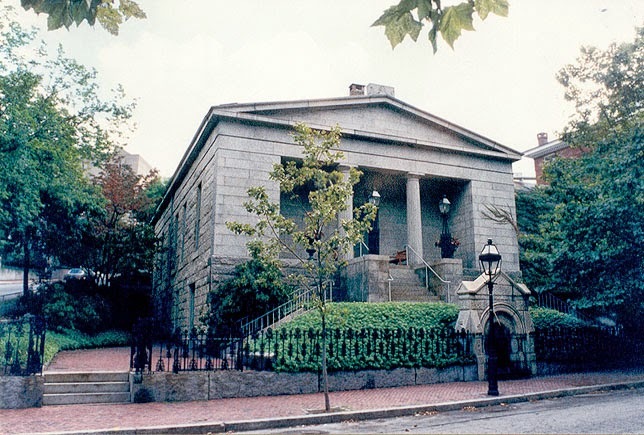 During my presentation, I asked the Providence Athenaeum trustees to look at the Lovecraft Wikipedia page and see how easily they could add themselves to the “Historical Places” section, and link to their own (revised) Wikipedia entry and (revised) institutional web site. In the 21st c. this one simple step will engage a global public and can lead to completely unexpected new partnerships. In 2014 Wikipedia is the most tireless maven working on behalf of a nonprofit. Wikipedia is the curated link to a global digital public that longs to affiliate with local place making. And when your door is open? How will you bring these outsiders in? What kind of creative engagement can you imagine?